Auditor disagrees with HART on rail reimbursements. As work gets underway on a far-reaching audit of the multibillion-dollar rail project, state Auditor Les Kondo warned officials that his office has already identified potential red flags. Star-Advertiser. How Will Honolulu Pay To Run Rail Once It’s Built? The City Still Doesn’t Know. Many other rail transit systems rely on special sales taxes to pay what passenger fares don’t cover. Civil Beat. Congressional candidate didn't finish master's degree his LinkedIn page said he had. For years, congressional candidate Kaniela Ing's LinkedIn page said he received a master's degree in public administration from the University of Hawaii. Hawaii News Now. Isle jobless rate steady at 2.1% for sixth month. Hawaii’s unemployment rate, the lowest in the nation, held firm in March at 2.1 percent for the sixth month in a row as employers added 200 jobs. Star-Advertiser. Lawmakers could ban sunscreens with toxic chemicals that are damaging reefs. KHON2. Scientists Warn Plastic Could Soon Out-Weigh Fish in the Ocean. Maui Now. Businesses are tightening policies on emotional support dogs. KHON2. Hawaiian Electric Cos. on Thursday released its 11th annual Sustainability Report for 2017-2018 describing the utility's efforts to address climate change and contribute to community sustainability. Pacific Business News. The Honolulu City Council is attempting to close loopholes in some of the city’s ordinances. And, they’re targeting sidewalk vendors and golfers. Hawaii Public Radio. E-bus struggles to make the grade. The city is restating its characterization of how an electric bus on loan performed in February tests around Oahu. Star-Advertiser. Tension High Over Airport Rideshare Pilot Program. Long simmering tensions between the local taxi companies and transportation network companies, Uber and Lyft, erupted again. Hawaii Public Radio. Erosion taking toll at Haleiwa Beach Park. Severe erosion is forcing the closure of makai entrances to the bathrooms and removal of outdoor showers at Haleiwa Beach Park, safety precautions announced Thursday by city park officials. Star-Advertiser. Gaping sinkhole growing with each wave makes for dangerous situation in Haleiwa. Hawaii News Now. 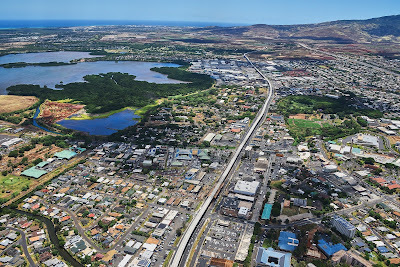 Nanakuli Village Center: Big Plans But Few Results So Far. After more than a decade of planning, construction could begin this month on a commercial center — or it might not. Civil Beat. State seeks to cancel lease with Olomana Golf Club. Fears of vandalism and homeless squatters are among the new concerns for former staff at a Kailua golf course. KITV. Elite Pacific Properties has acquired a vacation rental management company that manages 29 Ocean Villas at Turtle Bay Resort on Oahu's North Shore. Pacific Business News. Power restored to entire UH-Manoa campus after large transformer fire. Hawaii News Now. Transformer fire at UH Manoa causes widespread power outage. Honolulu Fire Department personnel battled a large fire at the University of Hawaii at Manoa’s lower campus this evening. Star-Advertiser. A Florida man was sentenced today to two months in jail and four months home confinement for his role in scamming the University of Hawaii out of $200,000 for Stevie Wonder concert that never happened. Star-Advertiser. Vendors face relocation: County responding to safety concerns near lava viewing area in Kalapana. Hawaii County is clamping down on vendors near its designated lava viewing area at the end of Highway 130 in Kalapana. Tribune-Herald. County Explains Kalapana Vendor Crack-Down. Civil Defense administrator Talmadge Magno told the council Thursday that the county will "strictly enforce" the law beginning July 1st. Big Island Video News. The Kohala Swimming Pool and a room in the North Kohala Senior Center are closed following a set of recent mishaps. Big Island Video News. A second lieutenant will soon join the ranks of the Kona unit of the Department of Public Safety’s Sheriff Division, pending the governor’s approval of the state’s budget. West Hawaii Today. Logistics of cesspool conversion bring financial burden. Last year, legislators passed a law requiring Hawaii homeowners do away with the state’s estimated 88,000 cesspools by 2050. West Hawaii Today. Peter Kema Sr. must serve a minimum of 18 years in prison for the killing of his son, Peter Kema Jr., aka “Peter Boy,” the Hawaii Paroling Authority announced today. Tribune-Herald. The Hawaii Department of Health recently identified several cases of ciguatera fish poisoning from ingestion of the giant trevally (ulua) recreationally caught off the northwest coast of Hawaii Island. Big Island Now. Former Maui Police Officer Pleads Guilty to Theft, Witness Tampering. Former Maui police officer Anthony Maldonado, of Kahului, pleaded guilty today in federal court to one count of Deprivation of Rights Under Color of Law and one count of Conspiracy to Commit Witness Tampering. Maui Now. Former Maui police officer pleads guilty to traffic-stop theft. He also is charged with bribery, faces up to 21 years in prison, $350,000 in fines. Maui News. Maui vegetable farmers fighting Mother Nature. Recent heavy rains, flooding ruin crops, breed pests. Maui News. Mayor Bernard Carvalho Jr. completed a site visit Thursday to communities in Lumahai, Wainiha and Haena. Garden Island. 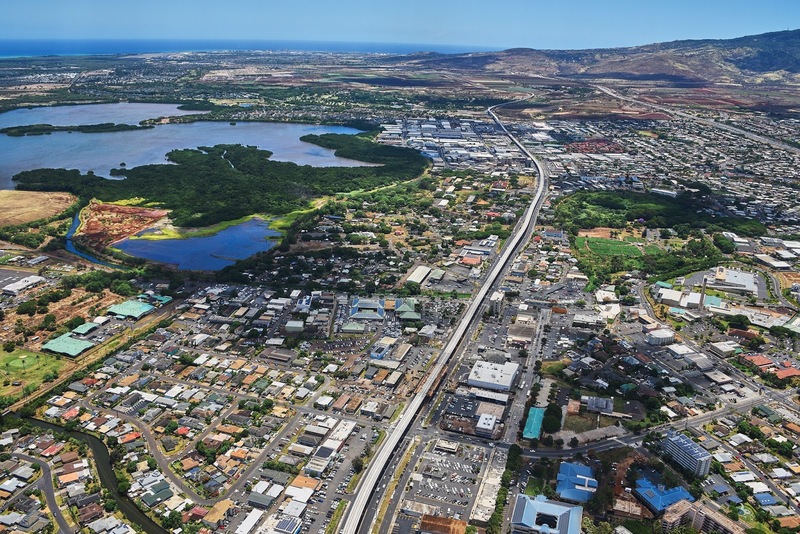 Lifeline To Kauai’s North Shore Must Be Rebuilt Now, Relocated Later. Officials don’t know when the Kuhio Highway, smothered by mud and debris, will be completely reopened. Meanwhile, the state will speed up a $33 million plan to rebuild a series of old bridges. Civil Beat. More and more respond to need for help on North Shore. Garden Island. The state Department of Land and Natural Resources conducted a helicopter survey of its lands, and found most of the vast acreage of lands it manages to have relatively less damage than originally thought due to last weekend’s historical flooding. Star-Advertiser. In flood-devastated Hanalei, a beloved cemetery is covered under a mountain of mud. Hawaii News Now. Facebook founder Mark Zuckerberg and his wife, Priscilla Chan, are donating $1 million to assist flood-relief efforts on Kauai. Star-Advertiser. Ocean Safety personnel on Kauai have closed Keoneloa Bay to swimming after a 29-year-old male visitor was apparently bitten by a shark while body boarding at around 8 a.m. on Thursday, April 19, 2018. Maui Now.